Park Forest, IL—(ENEWSPF)—February 7, 2016. Valentine’s Day will be celebrated next Sunday, February 14 when many of us will exchange cards, candy, gifts or flowers with their special “valentine.” Did you know that the day of romance that we call Valentine’s Day is named for a Christian martyr and dates back to the 5th century? You can learn additional facts about Valentine’s Day at http://www.history.com/topics/valentines-day. Don’t forget to plan something special for your “valentine” next Sunday. The last day to register for voting in the March 15 General Primary Election is Tuesday, February 16. Grace Period Voting begins Feb. 17 and continues through election day March 15, and is available only at the Will County Clerk’s Office. Grace Period Voting allows individuals to register and vote at the same time. Please note that Same Day Registration will now be available at all 300 polling places. For those already registered, you can fill out a Vote by Mail ballot request online for the March 15 General Primary Election by clicking on the Vote by Mail Quick Link at the Will County Clerk’s website. The first day to mail out ballots was February 4. Early voting is now taking place and runs through March 14. If you have any questions, please call the Registration Department at 815-740-4620, e-mail [email protected] or Visit the Will County Clerk’s website. The Village Board is scheduled to meet on Monday, February 7 at 7 p.m. at Village Hall, 350 Victory Drive. Residents are encouraged to attend. Board meetings air live on cable access channels (Channel 4 for Comcast subscribers and Channel 99 for AT&T subscribers). Correction: The Village Board is noty scheduled to meet on Monday, February 7. We apologize for the error. The Southland Area Theatre Ensemble (SLATE) will present ‘Sondheim on Sondheim’ on Saturday, February 20 at 8 p.m. at the Center for Performing Arts. Hailed by the Associated Press as a “revelatory revue full of wonderful moments” and by USA Today as a “funny, affectionate and revealing tribute to musical theater’s greatest living composer and lyricist,” ‘Sondheim on Sondheim’ is an intimate portrait of the famed songwriter in his own words… and music. An all-star cast of Slate veterans and new artists take on new arrangements of over two-dozen Sondheim tunes, ranging from the beloved to the obscure, interspersed with beautiful video commentary by the composer himself, who reveals fascinating details about his life and his art. Stephen Sondheim’s final word on his unparalleled body of work has been preserved in this classic new revue nominated for both the Tony and Grammy award. Songs include: “Something’s Coming” from West Side Story, “Comedy Tonight” from A Funny Thing Happened on the Way to the Forum, “You Could Drive a Person Crazy” and “Being Alive” from Company, “Send in the Clowns” from A Little Night Music, “Children Will Listen” from Into the Woods, and many more! Tickets are $28. BUY TICKETS For additional information, visit: http://www.govst.edu/About/Center_for_Performing_Arts/All_Events_by_Date/ or call 708-235-2222. GSU seeks applications for its Theatre & Performance Studies (T.A.P.S.) High School Theatre Collaborative (HSTC). The Collaborative, under the direction of the GSU’s Division of Communication, Visual and Performing Arts and its Theatre and Performance Studies program aims to produce inspiring theatre that helps young actors enhance their craft through active learning experiences and collaborations with Governors State University, area high schools, and the community. Each spring, high school theatre groups may submit a proposal to GSU with the production concept that they wish to present in the summer. The T.A.P.S. program staff will review proposals and select a different partner each year to perform a full scale production on the stage of the Center for Performing Arts. Last summer, GSU kicked off the program with Crete Monee’s Enrichment program producing SHREK The Musical; a production which attracted over 1400 community members. To Apply — Visit www.govst.edu/cas/taps/hstc. The deadline for submissions is March 1, 2016. Along with its annual summer production, HSTC will be offering in-school theatre workshops, information sessions and outreach programs for high school aged youth who are interested in pursuing theatre or performance as a career path. In 2014, The Illinois Board of Higher Education approved Theatre and Performance Studies as a Bachelor’s Degree at GSU; the only such degree combining the two disciplines at a public state university in Illinois. The T.A.P.S. High School Theatre Collaborative invites high school and college students to explore theatre with the support and mentorship of GSU’s professional educators and unique program perspective. To stay connected and receive program updates, visit www.govst.edu/cas/taps and “like” us at facebook.com/TAPSGSU. DePaul University’s Merle Reskin Theatre will present ‘Prospero’s Storm’ through February 20th. ‘Prospero’s Storm’ has been adapted from William Shakespeare’s ‘The Tempest’ and recommended for those ages 8 and up. Wizard Prospero wields crashing sea-storms, airy spirits, savage ghost hounds, and terrifying creatures to exact revenge on his enemies—trapping them on his magical island. Will he learn mercy from his teenage daughter, or sink everyone into the sea? This vaudeville adaptation of Shakespeare’s ‘The Tempest’ uses puppets, singing, slapstick, and magic to weave an enchanting tale of fatherhood and forgiveness. Performances will take place on Tuesday, Thursday, and Friday at 10 a.m. and on Saturday and Sunday at 2 p.m. Please check the DePaul calendar (www.theatre.depaul.edu) for specific performance dates. Tickets are $10. College students with ID can purchase tickets for $5. For additional information or to purchase tickets, call 312-922-1999. With refined appreciation for materials, but very different approaches, the art of Dianna Frid and Richard Rezac meets on complementary grounds at DePaul Art Museum’s “Split Complementary” exhibition. The exhibition features installations, sculptures, books and wall art by the artists, as well as rare books from the Special Collections Department of DePaul’s John T. Richard Library, and a variety of objects from the DePaul Art Museum’s permanent collection. The items from the museum’s collection include a red hat from South Africa, a Turkish Ottoman miniature painting covered with written notations, South American photographs from the 1930s and other objects and images. ‘Split Contemporary’ will be on display at the DePaul Art Museum through April 24. The DePaul Art Museum at 935 W. Fullerton, just east of the CTA’s Fullerton ‘L’ stop, is open Wednesday and Thursday from 11 a.m. to 7 p.m., Friday from 11 a.m. to 5 p.m., and Saturday and Sunday from noon to 5 p.m. The museum is closed Mondays and Tuesdays. Admission is free. For more on the DePaul Art Museum’s upcoming exhibitions and events, call 773-325-7506 or visit http://bit.ly/DPAM15. ‘Nexo / Nexus: Latin American Connections in the Midwest’ will be on display at the DePaul Art Museum through April 24. Drawn from museum’s permanent collection, alongside loans from private collections, the exhibition features Latin American artists in the region and explores their influences, connections and unique reflections of the people, culture and place. This exhibition is presented in conjunction with the 2016 Latino Art Now! Conference taking place this April. The DePaul Art Museum at 935 W. Fullerton, just east of the CTA’s Fullerton ‘L’ stop, is open Wednesday and Thursday from 11 a.m. to 7 p.m., Friday from 11 a.m. to 5 p.m., and Saturday and Sunday from noon to 5 p.m. The museum is closed Mondays and Tuesdays. Admission is free. For more on the DePaul Art Museum’s upcoming exhibitions and events, call 773-325-7506 or visit http://bit.ly/DPAM15. The Theatre School at DePaul University will present ‘God’s Ear,’ written by Jenny Schwartz and directed by Andrew Peters, on the Fullerton Stage on DePaul’s Lincoln Park Campus. The production opens February 12 and runs through February 21. Performances are Wednesdays through Saturdays at 7:30 p.m. and Sundays at 2 p.m. Previews are February 10-11 at 7:30 p.m. ‘God’s Ear’ centers on a child who dies and a family that shatters. Two parents grapple with the language of loss as they fight to pull their family back together. The couple navigates their new reality using dark humor, disjointed poetry, rampant clichés and an occasional visit from the Tooth Fairy and G.I. Joe. Additional special events for the play include an opening night reception following the performance on February 12, and post-show discussions on February 14 and 18. Tickets are $15, preview tickets are $10 and student tickets are $5 with a valid ID. Subscriptions and group rates for six or more people are available. All tickets are reserved seating. Tickets are available by calling 773-325-7900 or visiting http://theatre.depaul.edu. The performance will be audio described with a pre-performance touch tour for blind and low vision patrons, February 21 at 2 p.m. for additional information call 773-325-7900. The Feb. 21 performance will be interpreted in American Sign Language. TTY: 773-325-7975. February 17 at 7:30 p.m. is United Service Organizations of Illinois Night. U.S. Armed Forces personnel and their families with a valid military ID may attend the performance for free. For additional information or to reserve tickets, visit www.tixfortroops.org or call 773-325-7900. The Theatre School is accessible via the Fullerton CTA Station and the Fullerton 74 bus. Visitors and audience members can park in DePaul University’s Clifton Parking Deck at 2330 N. Clifton Ave. The Drama Group is excited to present the rollicking sports comedy, ‘Bleacher Bums’ directed by Michael J Renzi. Performances will be held at the Drama Group Studio Theatre on February 26, 27, March 3, 4 & 5 at 7:30 p.m. and matinees on February 28 & March 6 at 2:00 p.m. ‘Bleacher Bums’ takes place in the bleachers of Chicago’s Wrigley Field. The characters are a bunch of die-hard Chicago Cubs fans, watching a game in progress on a summer afternoon. The rowdy group consisting of a rabid cheerleader, a blind man, a bathing beauty, a nerd and various other local denizens, have been gathering religiously for some time and know each other; even if they might not necessarily like or tolerate each other. Beer is being drunk, hot dogs are being eaten, and friendly wagers start to take on increasing importance. Conceived by Joe Mantegna and written by The Organic Theatre Company of Chicago in 1977. Tickets are $20 for adults; $19 for seniors and $15 for students with ID. Group discount rates are also available. Good seats are still available. Tickets can be purchased by calling the Box Office at 708-755-3444 or online at: http://www.brownpapertickets.com/profile/242073. For additional information regarding Drama Group activities, please visit our Web site at: www.dramagroup.org. The Drama Group Daytime Children’s Theatre proudly presents ‘The Velveteen Rabbit’ Wednesday, March 16 through Sunday, March 20, 2016. Come see this timeless musical inspired by Margery Williams classic story of a stuffed toy rabbit made real by a child’s enduring love. A family favorite comes to life! Introduce LIVE theatre to young children, schools, scout troops and daycare. Performances are Wed., Thurs., Fri., March 16, 17 and 18 at 9:30 am and 12 noon – Sat., March 19 at 10 am and 1 pm – Sunday, March 20 at 1 pm at The Drama Group Studio Theatre 330W. 202nd Street in Chicago Heights – 1 block North of Marian Catholic High School. Tickets are only $6.00 in advance, $5.00 for groups of 25+ and $7.00 at the door. Activity Guides are available as well as a Question and Answer Session and Photo Opportunity with the cast immediately following each performance. Call the Box Office at 708-755-3444 to purchase your tickets today! Visit our website at www.dramagroup.org and navigate through all of the entertainment options available. The Drama Group has been bringing Broadway to the South Suburbs since 1931 and was the sole recipient of the 2015 Award for Excellence in Community Theater. The children’s theatre began in 1994 as a way to introduce LIVE theatre to families and younger members of the surrounding communities. A summer Kids Camp and free Staged Readings have been added to our continuing schedule of musicals, plays, comedies and dramas. The Drama Group is an all-volunteer Community Theatre and can always use a helping hand. If you are interested in becoming part of the Drama Group, please contact us. You’ll be glad you did! Freedom Hall’s Senior Series will present the Glenn Mill Orchestra on Tuesday, February 9 at 11 a.m. The most popular and sought after big band in the world today for both concert and swing dance engagements. With its unique jazz sound, the Glenn Miller Orchestra is considered to be one of the greatest bands of all time. The present Glenn Miller Orchestra was formed in 1956 and has been touring consistently since, playing an average of 300 live dates a year all around the world. Tickets are $25. For additional information or to purchase tickets, call 708-747-0580. The ArtsPower National Touring Theatre will present ‘Chicken Dance’ at Freedom Hall on Friday, February 12 at 7 p.m. Based on the award winning book “Chicken Dance”, this musical for young audiences portrays the colorful story of Marge and Lola, two barnyard chickens on a mission to win the barnyard talent contest first prize of two tickets to see the great Elvis Poultry in concert! But first, they must present a performance that will score higher than a flock of very talented ducks who seem to have the contest locked up. Can Marge and Lola face their challengers, against all odds, and win the talent contest? Tickets are $10. For additional information or to purchase tickets, call 708-747-0580. Through March 5, the 1950s Park Forest House Museum, at 227 Monee Road (inside St. Mary’s Catholic Church) in Park Forest, Illinois is decorated with vintage valentines and decorations, in the exhibit, ‘Step Back Into a 1950s Valentines Day.’ The classroom, representing Park Forest’s first school, is decorated for a 1950s Valentines Day class party with crepe paper candy baskets, and construction paper heart-shaped valentine “mailboxes” on each desk. Red honeycomb, puffy hearts and vintage valentines are on display throughout the house. This year, the exhibit will include a display of antique Valentines, some dating to 1880. Hours are Wednesdays and Saturdays, from 1:00 p.m. to 3:30 p.m.; and by appointment on other days. There is a donation of $5 per adult; children 12 & under free with adult. For additional information, contact: Jane Nicoll at 708-481-4252 or Mike Gans at 708-305-3308 or visit www.parkforesthistory.org. Monday, February 8 at 11 a.m. – Sunrise Story Time — Jump start your morning with a series of stories that are sure to get you moving. Ages 12 and under. Monday, February 8 at 3 p.m. – Chinese New Year Craft — Join us in making a craft to celebrate the Year of the Monkey. Monday, February 8 at 6:30 p.m. – Family Movie Night: ‘Goosebumps’ — A teenager teams up with the daughter of young adult horror author R. L. Stine after the writer’s imaginary demons are set free on the town of Madison, Delaware. Tuesday, February 9 at 3:30 p.m. – Library Lovers Project — Drop in to create a special Valentine’s Day card for your local librarians. Tuesday, February 9 at 4 p.m. — Color-Rama Coloring Circle — Are you a teen looking to take a break after school with a fun, fresh activity? Come relieve stress and show your creativity with other teens in our coloring circle! Tuesday, February 9 at 7 p.m. – Pajama Storytime — Share special moments with your child through stories, crafts, and more. Wear your pj’s and wind down from a busy day. Ages 12 and under. Wednesday, February 10 at 11 a.m. – Baby Time — Story time for infants to 35 months of age with an adult. This story time is designed to engage children through movement, music, stories, and more. Wednesday, February 10 at 3:30 p.m. — Crazy 8’s Math Club — Crazy 8’s is an over-the-top after school club that’s designed to get you fired up about math! This is an 8 week program. Every week you’ll build stuff, run and jump, make music, make a mess, and make friendships at the same time. It’s time for math to become the cool thing to do after school. Sign up today! Registration is required. Wednesday, February 10 at 4 p.m. – Color Me Happy Circle — Our new circle is the perfect way to step back from the stress of everyday life and enjoy some relaxation! All supplies will be provided. Wednesday, February 10 at 6 p.m. — Movie Night for Adults: ‘The Martian’ — During a manned mission to Mars, Astronaut Mark Watney is presumed dead after a fierce storm and left behind by his crew. But Watney has survived and finds himself stranded and alone on the hostile planet. With only meager supplies, he must draw upon his ingenuity, wit and spirit to subsist and find a way to signal to Earth that he is alive. Wednesday, February 10 at 6:30 p.m. – Writer’s Workshop — Want to improve your skills as a writer? Interested in sharing your ideas or written work with others? Come to the Park Forest Library and join other creators in our bi-monthly writers’ group, led by James Pressler, for all your writing wishes. Writers of all skill levels are welcomed. Thursday, February 11 at 11 a.m. – Toddler Art — Bring your imagination, creativity, and throw on some old clothes to bring out your inner Picasso through art projects and more. Some projects may involve paint. Ages 3-5. Thursday, February 11 at 3:30 a.m. – Art in the Afternoon — Unleash your inner artist! Drop in to create an amazing project of your own. Ages 12 and under. Friday, February 12 at 10:30 a.m. – Fiber Arts Circle — Meet and mingle with local fiber arts enthusiasts! Share stories, swap yarns, and more. Friday, February 12 at 3 p.m. – Kids Coloring Circle — Our new circle is the perfect way to step back from a day at school and enjoy some relaxation! All supplies will be provided. Saturday, February 13 at 2 p.m. – Valentine’s Day Make and Take — Valentine’s Day is tomorrow, so stop in today to create something special! For additional information or to register for an event call 708-748-3731 or visit www.pfpl.org. The Potpourri of Lectures Series will be held on Thursday, February 11 at 10:30 p.m. in the Library’s Ringering Room. This week’s lecture is “It’s Your Estate, Are You In Control?” with Ellen Kratofil. For additional information call 708-748-3731 or visit www.pfpl.org. The Park Forest Public Library is looking for an energetic, tech-savvy information professional to fill the full-time position of Digital Services Coordinator. To view the job posting, which explains duties, requirements, and how to apply, click here. On behalf of American Heart Month, the Park Forest Recreation and Parks Department and Wright Fit Coaching will present ‘Getting to the Heart of the Matter Valentine Dance’ on Frida, February 12 from 7 p.m. to 10 p.m. at Dining on The Green, 349 Main St., Park Forest. The event will include a night of food, dancing, raffles, photos and much more. The cost is $25 per person. This event is for adults only 21 and up. Registration deadline is Monday, February 8. To register call 708-748-2005 or online at www.villageofparkforest.com. PSC is hosting, ‘Memory: An Exhibition of Portraiture Evoking Memory,” in the Christopher Art Gallery on the main campus in Chicago Heights. The exhibit opens Monday, February 8 and will run through Wednesday, March 9. The exhibit features works from artists Ellen Holtzblatt, Judith Roth, John P. Smolko, Joseph Taylor and Julian Williams. There will be an artists’ reception from 4:30 p.m.to 7 p.m., Thursday Feb. 11 in the gallery. Both the exhibit and reception are free and open to the public. The Christopher Art Gallery is open from 9 a.m. to 3 p.m., Monday through Thursday, and 5 to 7 p.m. on Wednesday and Thursday. Visits also can be made by appointment. For additional information about the gallery, upcoming exhibits or to make an appointment for a visit, call (708) 709-7738 or visit prairiestate.edu/artgallery. Some of the nation’s top jazz artists will perform at PSC’s 28th Annual Jazz Fest at 7:30 p.m., Friday, Feb. 19, in the Barnes & Noble College Auditorium in the Conference Center of the PSC main campus in Chicago Heights. Featured musicians include Chicago trumpeter Orbert Davis, drummer Ernie Adams, bassist Junius Paul and saxophonist Ed Petersen, as well PSC’s Professor of Music Valerie Nicholson on piano. Ticket prices are $15 for general admission. Students and senior citizens tickets are $10 each. Tickets are available in advance in the PSC Business Office Monday through Thursday from 8 a.m. to 7 p.m. and Friday from 8 a.m. to 4:30 p.m. Tickets also can be purchased at the door on the evening of the concert. Those who attend the evening concert also are invited to join the Jazz Fest musicians for a VIP reception before the concert at 6 p.m. Entertainment will be provided by the PSC Student Jazz Ensemble. Tickets are $15 each and can be purchased in advance at the PSC Business Office or the night of the event. The reception is sponsored by the PSC Foundation. For more information, email [email protected]. The Friday performance is part of the annual two-day festival hosted by PSC, which also includes instrumental clinics led by the featured artists. The clinics are for local junior high and high school jazz musicians. It is an opportunity for students to receive instruction in technique and performance from the jazz masters. Select students from the instrumental clinics also will be invited to perform with the guest artists during the Friday evening performance. The seventh annual Howard Luckey Excellence in Jazz Leadership Award also will be announced. The award goes to a community member who has provided extensive and consistent support of jazz through teaching, performing, or organizing in a spirit of humility and community. The award was established in memory of Howard Luckey, a PSC social science faculty member who volunteered to assist with the festival for years until he passed away in 2010. For more information on the Jazz Festival, or to purchase tickets to the concert, call 708-709-3500. ‘Legally Blonde the Musical’ will be performed at the Roosevelt University College of Performing Arts at 7:30 p.m. on Thursday, February 18 and Saturday, February 20 and at 2 p.m. on Saturday and Sunday, February 20 and 21. ‘Legally Blonde the Musical’ with book by Heather Hach and music and lyrics by Laurence O’Keefe and Nell Benjamin, follows the transformation of Elle Woods as she tackles stereotypes, snobbery and scandal in pursuit of her dreams. This action-packed musical explodes on the stage. Equal parts hilarious and heartwarming, this musical is so much fun it should be illegal! Tickets are $12. For additional information, visit www.roosevelt.edu/ccpa or call the Box Office Hotline at 312-341-3831. On March 16, the Rich Township Senior Services will shuffle off to Buffalo, New Buffalo that is, to enjoy a day at the Four Winds Casino in Michigan. The cost of the trip is $27. You will receive $15 in free slot play as well as $10 off your lunch. Please call 708-748-5454 to reserve your seat. SSC is hosting the 2016 SSC Jazz Festival on Saturday, February 13th from 8:00 a.m. – 6:00 p.m. in the Kindig Performing Arts Center. The 18th annual fest features performances by bands from eleven local high schools and middle schools, as well as instruction and performances by special guest clinicians. This year’s guest artists are saxophonist Mark O’Connor and bassist Marlene Rosenberg. As well, a jazz piano pedagogy clinic will be presented at 10:45 and 1:15 in room 1111 by Daniel Murphy. The SSC Jazz Festival is a one-day, non-competitive educational festival celebrating jazz and jazz education. Each band performs for and receives a performance clinic by the guest artists. The evening festival concert, taking place at 7:00 p.m. in the Kindig Performing Arts Center, will feature performances by the SSC Jazz Ensemble, the SSC Jazz Orchestra, guest artists O’Connor and Rosenberg, as well as select festival participants. Admission to the festival, as well as to the evening festival concert, is free of charge. For more information or a complete performance schedule, contact the SSC Music Department at 708-596-2000, ext. 2299. Tall Grass Arts Association exhibit ‘Getting There’ will run through February 27. The exhibit is free and open to the public. ‘Getting There’ is an exhibit of sixty-seven works which present a broad range of images to interpret the idea of moving, traveling seeking the curious and beautiful, and enjoying the adventure of moving down the highways, across the water, over the rails and through the skies. The works in ‘Getting There’ include evocative, highly detailed black and white and color photographs; digitally manipulated images; drawings; oil, acrylic and watercolor paintings; woodcut and silkscreen prints; mixed media, collage and assemblage works; and sculpture pieces in metal, wood, and ceramic. Ranging from small 8″ squares to a large installation sculpture piece that measures 10′ by 10′ by 7′, the exhibit provides realistic looks at historic train engines, police cars, and three-mast tall ships. Also on view will be abstract, inventive, whimsical, and mysterious compositions based on the blur of Marathon racers, the geometry of bicycle tracks, the overlapping fractions of images we experience speeding down the Interstate, and many other aspects of travel, time passing, and dreams of flight, the unknown, and freedom. Gallery hours are Tuesday through Saturday from 11 a.m.to 4 p.m. For additional information, visit www.tallgrassarts.org or call 708-748-3377. Edgar’s Place Coffee House will proudly present Chris Farrell and Dean Milan on Saturday, February 13 at 7:30 p.m. Edgar’s Place is located at the UUCC in Park Forest. For over 35 years, Chris Farrell has been a mainstay of Chicago’s famed singer-songwriter scene. Honing his writing and performing skills while sharing the stage with music legends Steve Goodman, John Prine, Bob Gibson and others, Chris has emerged with his own distinct brand of songwriting and showmanship to carry on this proud tradition. Dean Milan’s songs reflect his extensive background in music in multiple genres, and are sparkling compositions that range from humorous to introspective, solid melodic tunes that cover a wide-range of topics. Tickets are $15 per person. Edgar’s Place is a fundraiser for the UUCC. For additional information, visit www.uuccpf.org or call 708-481-5339. On Saturday, February 26th at 7p.m., UUCC will screen the documentary film ‘Divest: The Climate Movement On Tour.’ The documentary chronicles 350.org’s “Do the Math” bus tour across the United Stated in 2012 as it launched the fossil fuel divestment campaign onto the national and ultimately international stage. The film features Bill McKibben, Naomi Klein, Desmond Tutu and others. Join in the lively discussion following the film. Free tea, coffee and snacks will be provided. Bring a snack to share. Invite friends! For additional information, visit www.uuccpf.org or call 708-481-5339. 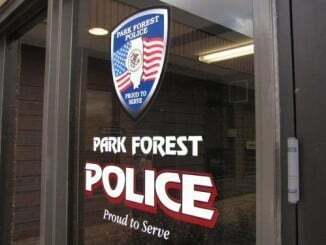 ‘Our Village Circle’ continues at the Park Forest Public Library, 400 Lakewood Boulevard, continues on Saturday, February 13 at 1 p.m. with a conversation with former Community Relations Director Barbara Moore on the history of the integration of Park Forest. Park Forest Hall of Fame Inductee Therese Goodrich is slated to be the featured speaker in March. The series takes place on the 2nd Saturday of each month at 1 p.m. at the Park Forest Public Library. The conversations are free to attend. Refreshments will be served. For more information, call the Park Forest Public Library at 708-748-3731. Click to download the flyer! Submissions should be sent to [email protected] no later than 5 p.m., Wednesday, February 24. The top videos will be announced the following Monday, February 29. For more information about the contest or for help with technical aspects of creating their video, students should visit http://robinkelly.house.gov/Black-History-Contest. To view last year’s entries, please visit Congresswoman Kelly’s YouTube page. In celebration of African American History month, GSU’s Student Life Department will present the Fourth Annual Black Women Rock Awards Ceremony on Saturday, February 27 at 6:30 p.m., in the Center for Performing Arts. This red carpet event will celebrate women in grand style. This event acknowledges the contributions of GSU students, faculty, and community leaders at the university and in the region and thanks them for their contributions. The celebration also features music, dance, and tribute performances by local artists, including a performance by the 2015 US Finals Champions, Exclusive All Star Dance Team from Park Forest. Black Women Rock is a free event, and is open to the public. This year, to celebrate Black History Month, The Matteson Area Public Library District, is hosting speakers that will entertain and inform our community on different topics covering Black History. The event is free and open to the public. For additional information visit: http://www.mattesonpubliclibrary.org or contact Lisa Korajczyk at 708-748-4431, or email lkorajczyk @mapld.org. Celebrate Black History Month with Teen Tech Zone. We’ll be showing “The Great Debaters” at 6 p.m. For additional information call 708-748-3731 or visit www.pfpl.org. On Saturday, February 13 at 1 p.m. join us for a discussion with Ms. Barbara Moore on the integration of Park Forest and the Civil Rights Movement. Stay to explore our commemorative exhibit on Ms. Rosa Parks highlighting historic moments and people from the era. For additional information call 708-748-3731 or visit www.pfpl.org. PSC is celebrating Black History Month in February with a few events around campus. All events are free and open to the public, and will be held on the college’s main campus in Chicago Heights. The college is welcoming internationally recognized public speaker Marcus Gentry, founder and president of A MasterMind Creation, to the college from 11 a.m. to 12:30 p.m., Tuesday February 16, for his presentation, “I Have a Dream: A King’s Journey.” The event is presented by the MSI, and features Gentry telling the story of the people and events that surrounded the life of Dr. Martin Luther King, Jr. For more information, contact William Berkley, coordinator of MSI, at (708) 709-2946 or email [email protected]. From 9:30 to 10:45 a.m. on February 24, the PSC Library is hosting an African American Read-In, offered in partnership with Professor Alanna Cotch’s African American Literature class. Students will perform public readings that feature African American writers. The event is part of the National African American Read-In, hosted by the Black Caucus of the National Council of Teachers of English (NCTE) and NCTE, and is designed to bring friends and community members together to share books and promote literacy. The events are free and open to the public. Additional information is available at www.ncte.org/aari. SSC’s Office of Student Life & Leadership presents four programs open to the public at no charge in honor of Black History Month. The Afro Blues Ensemble is a collective of world-class and world-traveled musicians. The ensemble director, Art “Turk” Burton, has selected tunes from Miles Davis’ repertoire that are sure to please. John Watson Jr., Director of Economic Development for the Village of South Holland, will bring Miles Davis to life with commentary and historical highlights. Immediately following the performance, participants will be given tickets to join us for a “Taste of Soul” in the Kindig Performing Arts Center Lobby. The Voting Rights Act of 1965 overcame legal barriers at the State and Local levels that prevented African Americans from exercising their right to vote under the 15th Amendment to the Constitution of the United States. Voting is an essential public duty. If you are not registered, please join us and get registered today. Bring a current ID with your address. Retired SSC History Professor Art Burton will share with you some unknown facts about Black History that you should know but probably never heard of. You will be entertained, educated, and fascinated as he gives you exciting true facts about the African American experience beginning with Mother Africa (the cradle of civilization) to our present. Yusuf Ali El has published five books in the last three years. “How to Feel Good About Yourself,” a self-empowerment manual, is his current pride and joy. Yusuf received his B.A. from the University of New Hampshire and a Masters in Literature from Governors State University. Please join us for this exciting presentation. All students will receive a raffle ticket to win his manual. Ten winners will be selected and additional copies of his book will be available for purchase. For more information on these events, please contact Corrie Gray of Student Programming, at 708-596-2000, ext. 2499. Friday, February 12: 6:30 p.m. – 9:00 p.m.
Saturday, February 20: 9:00 a.m. – 11:30 a.m.
Saturday, February 13: 9:00 a.m. – 11:30 a.m.
Sunday, February 14: 12 noon – 2:30 p.m.
Sunday, February 21: 11:00 a.m. – 1:30 p.m.
Sunday, February 21: 2:00 p.m. – 4:30 p.m.
Sunday, February 14: 3:30 p.m. – 6:00 p.m.
Friday, February 19: 6:30 p.m. – 9:00 p.m. The camps are located at Bulldog Field on SSC’s Main Campus in South Holland. For more information or to register, contact Coach Ruzich at 708-225-5843, or email [email protected]. Don’t hide it, Don’t ignore it, Report it! Class times are from 6:00-7:00 p.m. and run during February and March. The cost is $69. For more information contact the South Suburban College Department of Continuing Education at 708-596-2000, ext. 2231. The Oak Forest Center is located at 16333 S. Kilbourn. One Earth Film Festival returns for its fifth year, March 4-6, 2016, bringing you 35+ films and more than 40 screenings throughout the Chicagoland area. The festival continues its tradition of showcasing top-issue environmental films accompanied by engaging festival programming. See One Earth’s official film list along with trailers and descriptions and begin planning your weekend! Leading up to the big weekend, we start with our first pre-event screening: “This Changes Everything,” at 7 p.m. Thursday, February 11, at Dominican University. Filmed over 211 days in nine countries over four years and inspired by Naomi Klein’s international bestselling book, this film confronts the challenge of climate change head on. Get tickets for this pre-event screening today! Thursday February 11, 7 pm: This Changes Everything, Dominican University- Lund Auditorium. Tuesday February 23, 7 pm: Landfill Harmonic, Loyola University, 1032 W. Sheridan Rd, Chicago. See the trailer below! Wednesday February 24, 6:30pm: The Breach, Forest Park Public Library. Thursday February 25, 6:30 pm: Bea Johnson’s Zero Waste Lifestyle& My Stuff River Forest Public Library. Please see the Advance Screenings page for complete details. For Families, Kids, and Teens — One Earth Brings Films & Programs for the Whole Family! One Earth Film Festival 2016 has something for everyone, even the youngest environmentalists. General audiences, children, families, and teens are all welcome to attend our family programming. Parents are invited to view “Saving My Tomorrow” with their children. This film sparks rich conversation, with its collection of songs, activism and heartfelt tips for protecting the Earth for the children who will inherit it. See the trailer and get tickets here. How do we create treasure from trash? In February, artists and Oak Park arts organizations are working together to teach the public how to reduce, reuse and recycle through the visual mediums of art and film. Oak Park Art League (OPAL) is calling on artists for its gallery exhibition, Discarded to Regarded, for which artists submit one-of-a-kind works created from found objects or recycled materials. Artists can drop off work at Oak Park Art League starting Feb. 6. Read more about OPAL’s call for entries and gallery exhibition. This year, One Earth Film Festival features two inspiring documentaries that tell moving trash-to-treasure stories. “Landfill Harmonic” shows how trash from a landfill in Paraguay is used to create something truly beautiful (watch the trailer below!). And “Garbage Warrior“ tells the rich story of sustainable architect Michael Reynolds and his life’s work of building Earthships to turn garbage into sustainable homes. For additional information, visit: www.oneearthfilmfestival.org. The Sauk-Calumet Group of the Illinois Sierra Club invites you to its next meeting. Avid canoeist Lois Lauer will talk about the life and work of Sigurd Olsen, who led the struggle to protect the Boundary Water Canoe Wilderness near Ely, Minnesota, a million-acre wilderness that contains no roads or motorized traffic. Last summer Lois visited Sigurd Olsen’s wilderness sanctuary called “Listening Point” which inspired much of his writing, before she took off with three other women for a weeklong canoe trip in the wilderness about which Olsen wrote so poetically. Lois will share photos and stories and read some of Olsen’s reflections about the spiritual value of wilderness and solitude for our souls. The meeting will be on Monday, February 8th at 7:15 p.m. The meeting is at the Frankfort Public Library. The Frankfort Public Library is visible from Lincoln Hwy. at the corner of Lincoln Hwy. and Pfeiffer Rd. Pfeiffer Rd. is about a mile east of LaGrange Rd. on Rt. 30. The address is 21119 Pfeiffer Rd. in Frankfort. Monthly meetings usually start with announcements with the program following. Programs are about nature or an environmental issue. Meetings are free and open to the public. For directions or more information about the Club and its activities, contact Patrick Coffey at [email protected]. Come to “Thorn Creek’s Great Backyard Bird Count” open house, Saturday, February 13 from 9 a.m. to 2 p.m. for help with all things birds! For basic bird identifications – and tricky ones, too – choosing binoculars, bird feeding and feeder tips, local bird checklists and more. Birders of all levels are welcome. We have information and crafts and hand outs and activities for beginners and children too. You can make pine cone feeders to take home. Join us for birding hikes at 9 a.m. and at noon. The GBBC is an annual count hosted by Audubon and Cornell Lab of Ornithology. Across America and Canada people watch and count birds with the results providing a snapshot of the whereabouts of more than 600 bird species. “When thousands of people all tell us what they’re seeing, we can detect patterns in how birds are faring from year to year,” said Janis Dickinson, director of Citizen Science at the Cornell Lab of Ornithology. Anyone can be part of the GBB Count! It’s easy. Just watch and count birds in your backyard or on a trail for at least 15 minutes, then report what you saw at www.birdcount.org for the GBBC days. Thorn Creek’s GBBC event is co-sponsored by Thorn Creek Audubon Society, our Partners in Programming. SSC proudly announces Judy Ferraro as the Keynote Speaker for the 2016 Chicago Women’s Conference on Friday, March 18, 2016, located at the college’s Main Campus in South Holland, Illinois. This year’s theme “Reach for The Stars” marks the 8th annual event that the college’s Business and Career Institute (BCI) is planning for women of all backgrounds ages 18 and up to come together for one day dedicated exclusively to women. The positive feedback and participation has grown tremendously since the event’s inception. Last year over 350 participants and 50 vendors participated in this truly unique opportunity. Judy Ferraro owned and operated her own scrap metal business and after 18 years in the industry, she decided to shed the glitz and glamour of scrap metal to form a consulting firm for personal development, sales and leadership training. Studying in Chicago’s comedy circle, Judy uses her comedic background and excellent interactive skills when building seminars that are informative and fun and emphasize the importance of listening, the art of asking good questions and the ability to laugh at oneself. In addition to an exciting keynote from Ms. Ferraro, this year’s event will again include networking, shopping, and will feature over 15 speakers on topics including Personal Empowerment, Health & Wellness, and Business & Finance, along with a panel discussion “Stars – Straight Talk About Real Stuff” that will feature poignant discussions on the many areas of a woman’s life. The cost of admission is just $25 per person with advance registration, or $35 at the door. The conference fee includes a continental breakfast, lunch, and admission to all of the break-out sessions. Sponsorships are also available – event sponsors to date include: Supervisor Frank M. Zuccarelli – Thornton Township, MB Financial Bank, Ed Miniat, L.L.C., Thornton Township School District 205, State Representatives Will Davis, Anthony DeLuca, Thaddeus Jones and Al Riley, Illiana Financial, State Senator Donne Trotter, State Representatives Marcus C. Evans and Elgie Sims and Cook County Commissioner Stan Moore, Judge Fredrick Bates and Pat Heneghan for Judge. For more information, or to register for the 2016 Chicago Women’s Conference, please call 708-225-6055 or visit www.TheChicagoWomensConference.org.